It’s possible to add sweetness without sugar to your recipes, here’s some tips! We look at low fructose vegetables and fruits (yay), some safe sugar substitutes and other spices and flavours. It was noted that even substitutes should be used in moderation. Low-fructose fruit: Kiwi Fruit, grapefruit, honeydew melon, blueberries and raspberries. 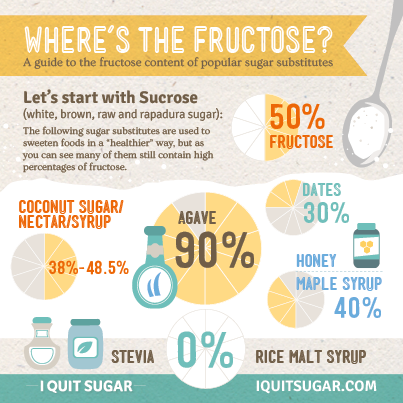 This guide displays the fructose content of popular sugar substitutes. Agave is a sugar substitute made from the same Mexican succulent that tequila is made from. It contains roughly 90% fructose – higher than sucrose! Look out for it in “health” bars and chocolate. Coconut sugar/nectar/syrup: You’ll often find one of these variations of coconut sugar in many health food products. Unfortunately it contains anywhere between 38% – 48.5% fructose, which is almost the same amount found in sucrose. Dates are often used to sweeten “sugar-free” recipes, but they contain roughly 30% fructose. Plus they often need to be used in large quantities to get the same sweetness. Rice malt syrup is made from fermented cooked rice. It’s a blend of complex carbohydrates, maltose and glucose. It’s 100% fructose free. It is our preferred sweetener of choice. Stevia is a plant-based sweetener. It’s completely fructose free and 300 times sweeter than sugar. It’s great in recipes where you want to add a little sweetness, but avoid using it in large quantities as it can have a bitter aftertaste. 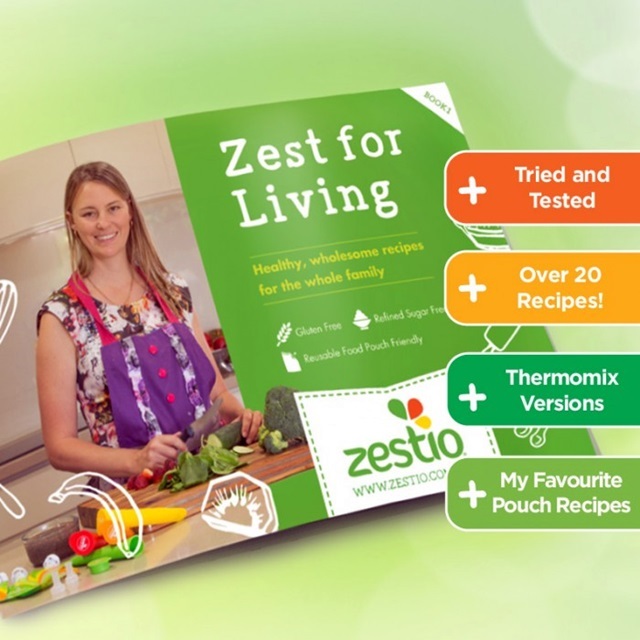 There is plenty of hints, tips and inspiration available in my recipe ebook ‘Zest for Living’ available to purchase here. So remember add sweetness without sugar!